*This post contains affiliate links and I may make a small commission used to support this site if a purchase is made using the links in this post. Deliciously Savvy received this item in exchange for an honest and unbiased review and all opinions are 100% my own. Regardless, I only review products that I am truly interested in for myself and my family and of course for sharing those reviews with my savvy readers. Thanks for stopping by and enjoy! 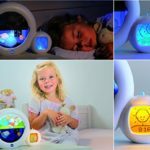 The Claessens’ Kids Kid’Sleep Moon Sleeptrainer Nightlight is an amazing product for your little one for sure. I just love it and have gifted this to my newest family member! We have a new little one that is now living with us… she is my niece and she is simply gorgeous. This is the perfect little nightlight for when she gets a bit older but it is also great for her right now. For right now we are using the unit for helping Scarlett to fall asleep with the 4 different choices of lullabies. She seems to really enjoy it & it is really so cute and sounds really good when playing the music. 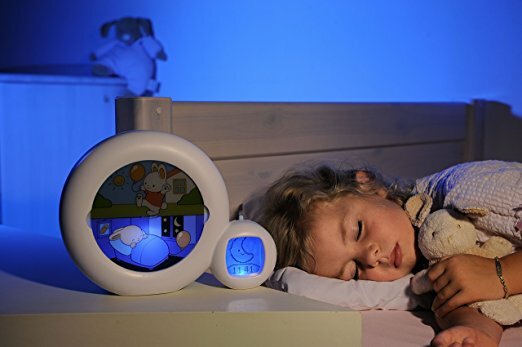 The Kid’Sleep moon Sleeptrainer helps your little ones to stay in bed until it is time to get up. 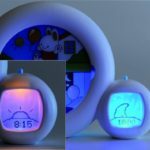 The Kid’Sleep moon offers the smart sunset “go to sleep” function and the smart moonset “wake up process” which gives kids a 10 minute warning for sleep time and get up time. 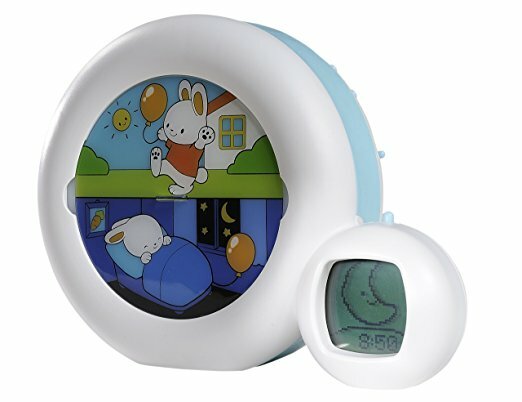 It is perfect for babies as it plays lullabies to help lull them to sleep and then it is extra useful as they get a bit older in maintaining a schedule for your little ones for going to bed and for waking up. 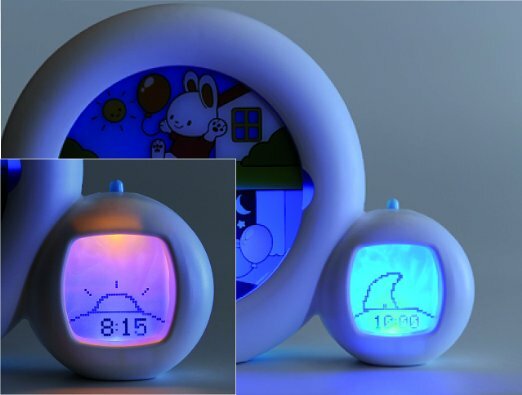 The Kid’Sleep moon has 3 settings for nighttime, nap and weekend….. with 4 choices of alarm sounds, or none at all….. plus 4 choices in level of brightness for the light function. Also…. if the sleeping character’s picture is lit and you see the moon, your kid knows to stay in bed and sleep awhile longer. At the time chosen by parents, the sun rises on the nightlight and the sleeping character is lit…. this is when it is OK for them to get up! It is really cool…. plus do not forget that there are 3 settings… night…. nap… plus special weekend settings if needed. 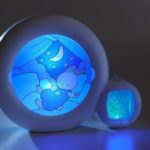 The Claessens’ Kids Kid’Sleep Moon Sleeptrainer Nightlight is a great gift for baby showers, birthdays, the holidays…. whenever! I just love it and I think you will too! Check Claessen’s Out On Social Media Today! Plus check out all of their products and more here! As Always, Thanks For Visiting Deliciously Savvy Today & Leave Some Comment Love While You Are Here! That just might be the cutest thing ever. I can’t believe that someone has not done this before. Such a great idea. This is so cute!! I think this would be so helpful for my little one who likes to get up in the middle of the night. This is a very nice light for parents and children. Just enough light is seems for a night time check up on your child without waking them. I love the different tunes also. I am really impressed. I had to turn the closet light on before my granddaughter would settle down last night. If we had this Sleeptrainer I could see a brighter night for all. Great product. It seems like it would be a great helper for parents. I really could have used this with my daughter. She couldn’t fall asleep on her own because she was afraid of the dark. what a cute idea. my older kids always woke up crazy early, wondering to get this for next go around.